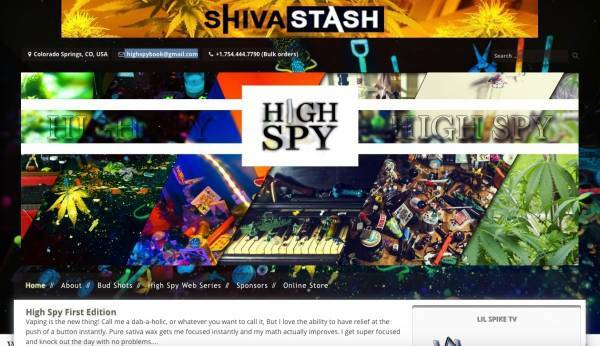 High Spy Books is the funnest look-book for every stoner! High Spy was created during the summer of 2015 by two long time best friends Chris and TJ. Chris attends college in the winter times and TJ is a single dad who works at a local dispensary raising beautiful pot plants to help those in need. Both stoners threw all their glass and pot plants together and started creating the funnest look-book for every stoner!